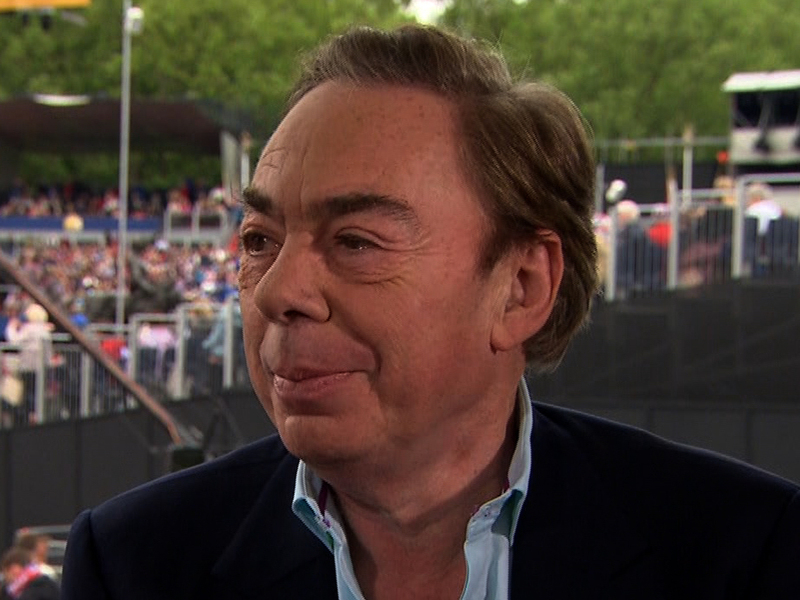 (CBS News) Queen Elizabeth II, celebrating her 60th year on the British throne, was "delighted" by the song composed especially for the occasion, Sir Andrew Lloyd Webber said on "CBS This Morning." Webber's huge singing effort went off without a hitch Monday night at the queen's Jubilee celebrations at Buckingham Palace. School children, military wives and people from the many far-flung reaches of the country's Commonwealth of Nations joined together in the song. "Sing," which Webber composed with Gary Barlow, is the official song of the Diamond Jubilee and is part of the Diamond Jubilee album, now No. 1 on the U.K. Billboard chart. The composer said he was worried about performing the new song for the concert because people know him for his older work. To help people get familiar with the new tune, "Sing" was distributed to schools around the country. Webber, who composed "Evita" and "Phantom of the Opera" said, "We had a bit of a gamble. ... (But) we got everybody singing it, which was really great."